The neighbourhood of Humber Summit, as the name suggests, is located just off of the Humber River at the top of the city. Technically within North York but looking more like neighbouring Etobicoke, Humber Summit includes dipping valleys, plenty of parks and tons of walking trails that follow the weaving currents of the river. It was, of course, the Humber River itself that first helped inhabit the area in the nineteenth century. Settlers came to work at pioneer Joseph Rowntree’s grist and saw mills, which he operated on Humber’s eastern and western banks. Affordable, quiet, convenient and picturesque, Humber Summit was a great place to live in the mid-1800’s and continues to be a great place to live today. The Humber River crosses right under the intersection of Islington Avenue and Finch Avenue providing its western border with Etobicoke. Steeles Avenue separates Humber Summit from the City of Vaughan to the north. Milvan Drive, and its Emery Yard industrial sector cut Humber Summit off to the east while Finch Avenue West provides the southern terminus. 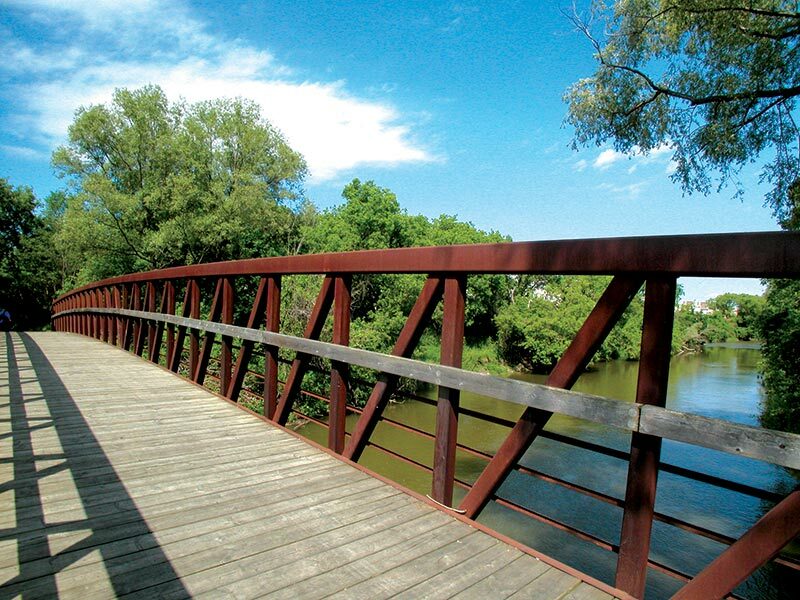 Rowntree Mills Park provides the deep ravine setting that makes this neighbourhood special. Carved out by the Humber River, it is a beautiful 5.5-acre park that includes forested valley slopes and mature woodlands. Here locals can hike, take walks on paved trails or have family get-togethers around the various barbecues and picnic tables spread out under overhanging weeping willows. Right on the northeast corner of Islington and Finch we find the Gord and Irene Risk Community Centre. A children’s playground, outdoor swimming pool and arena keep local residents entertained in the summer or winter. Walk a little north on Islington and you find the Humber Summit Library. Humber Summit’s main shopping plaza is Finchdale. Here you can find banks, a grocery store – ethnic foods, a pharmacy, a bakery, and a hub of the community, Alberto’s Trattoria. A number of smaller, independent multi-cultural shops also dot the Humber Summit landscape. Caribbean, East Indian, Latin American and Middle Eastern shops and restaurants are located in smaller shopping plazas facing Finch Avenue. Humber Summit area offers a good selection of medium sized apartments, large highrises plus a newer rental development offering both apartments and townhomes. The area offers good value for the dollar, providing an ideal setting for all types of renters. The parks and area amenities make the community ideal for families, while the proximity to the city makes it an easy commute. The area is close to Humber College North Campus as well as York University making it a great location for students. For those needing urban access but drawn to the beauty and tranquility of nature, Humber Summit is a great place to live!